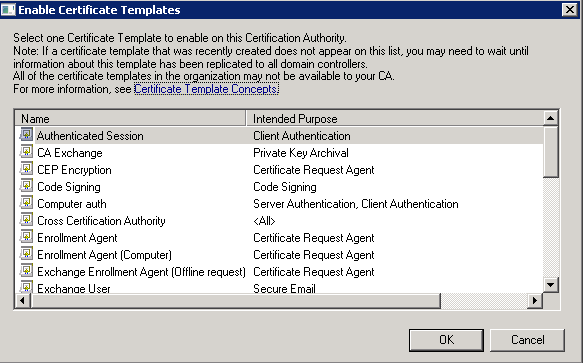 Under some circumstances after installation Windows Enterprise Operating System and configuration of AD Certification Services as Enterprise CA, the CA Services still doesn’t allow publication of certificate templates in versions higher than V1. This is because of misconfiguration of registry entries, which determines type of CA installation as Standard. After registry update, there is necessity of restart CA service.